First off, a big shout-out to those who took the time to give us feedback. We wouldn’t be able to come up with the new 123Greetings without you. We’ve incorporated all your concerns in the new 123Greetings site. That’s right, we have a brand new ad serving system that doesn’t include pop-ups. Even when you visit now you won’t find pop-ups on our site. They’re a thing of the past. We’ve managed to keep the site free while giving our sponsors a space for their advertising. New advertisers have signed on, so you’re going to see better quality ads. 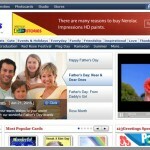 Without pop-ups you’ll be having a better ecard-sending experience. We’ve always been CAN-SPAM compliant. We’ve always encouraged the best practices in protecting our users’ privacy. We’ve always ensured that your email address is safe and secure. Add to that is our new real time unsubscribe service. When you want to unsubscribe from our newsletter, offers, and updates, you can do so in real time. It’s faster than what is specified in the CAN-SPAM Act. We’re taking extra steps so that you can have a pleasant experience with our service. We at 123Greetings feel that as citizens of planet Earth, we have a moral obligation to save the environment. We also believe that if deforestation is brought under control, most of the other causes of global warming will be taken care of — be it ecosystem imbalance or greenhouse effect. Therefore, all the measures that should be taken to stop global warming, boils down to “Going Green”. We’re taking steps to ensure that conservation and recycling is part of our design and infrastructure. Keeping these points in mind we would still need your feedback. We’d love to get your input for our beta launch so that we can provide the best ecard sending service. 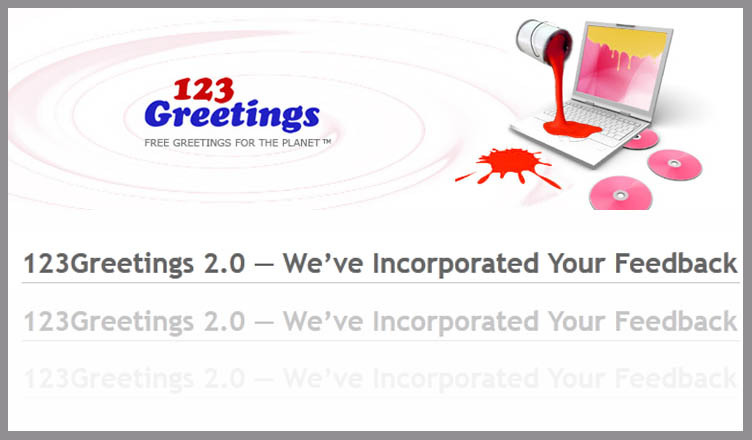 We are about to launch the 123Greetings 2.0 beta site. Hey there! I just wish to give you a huge thumbs up for your excellent information you have here on this post. I am returning to your site for more soon. You are so interesting! I do not suppose I’ve read through a single thing like this before. So wonderful to find another person with some genuine thoughts on this issue. Really.. thanks for starting this up. This site is one thing that is needed on the internet, someone with a little originality! 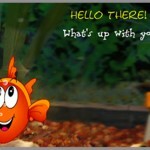 Previous 123Greetings 2.0 – A Sneak Peek! Next 123Greetings 2.0 Beta Launched!